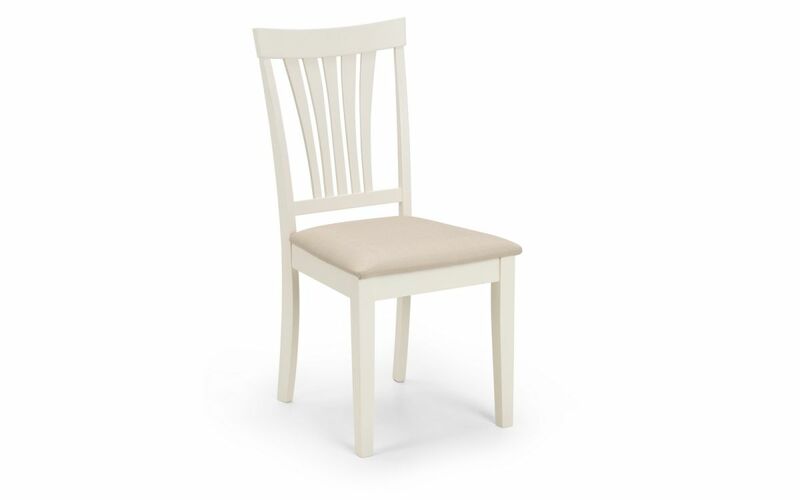 The Ford Dining Chair is an elegant fan backed chair finished in a subtle ivory lacquer with a taupe upholstered seat pad. It is of a timeless design that sits comfortably within traditional and more contemporary interiors and is the perfect accompaniment to a wide range of dining tables or as a timeless accent chair for the bedroom or living space. Ivory with taupe seat pad. Solid malaysian hardwood and linen fabric.